Late October ushers in the season for exquisite fall colours in Kyoto but also a highlight of the city’s art calendar: KYOTO EXPERIMENT. Since 2010 this radical performing arts festival has seen creativity flourish at venues throughout the city, as audiences gather to witness provocative and dynamic dance, theatre and installations. 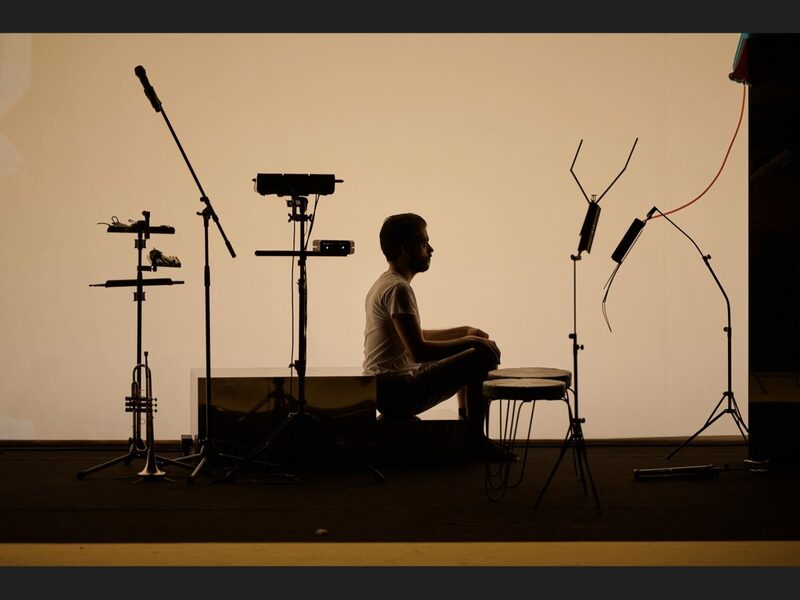 The participants of this year’s Kyoto Experiment brought their works from far-flung locales: from Seoul and Okinawa, to Strasbourg, New York, Berlin, Paris, Lisbon, and Buenos Aires, many of which were being premiered. Themes that took predominance this year were those of feminism and modernity, with performances designed to challenge our preconceived thoughts and notions of such. Performances I attended included Roberta Lima’s Embodiment of Water, most memorable for its aesthetically mesmerizing staging, in which a fusion of music and dance took place beneath under a rain cloud of crystallized globules; while Chikako Yamashiro’s highly immersive Mud Man exhibition, a combination of video and live performance, presented a brightly coloured visual world of movement, where countless hands emerged from a bed of flowers, projected onto a set of three panels in a dimly lit room. DUB LOVE was an ethereal spectacle of three performers dancing on pointe shoes against the backdrop of Jamaican beats resonating from a retro sound system. Bacchae-Prelude To A Purge, a comedic, musical, dramatic play on the human psyche, brought together an audience that if not silenced into shock were in fits of laughter, and their involvement was oftentimes scripted into their performance. Based on a Euripides tragedy, the actors performed such range of powerful expression, thoroughly energetically till the very end. Natsuko Tezuka’s show, Floating Bottle Project Vol. 2 Dive into the point took audience involvement even further: splitting them into 3 teams and requesting them to follow a number of rules as part of a game that posed serious questions about freedom and authority which would undoubtedly linger in their minds long after the show was over. 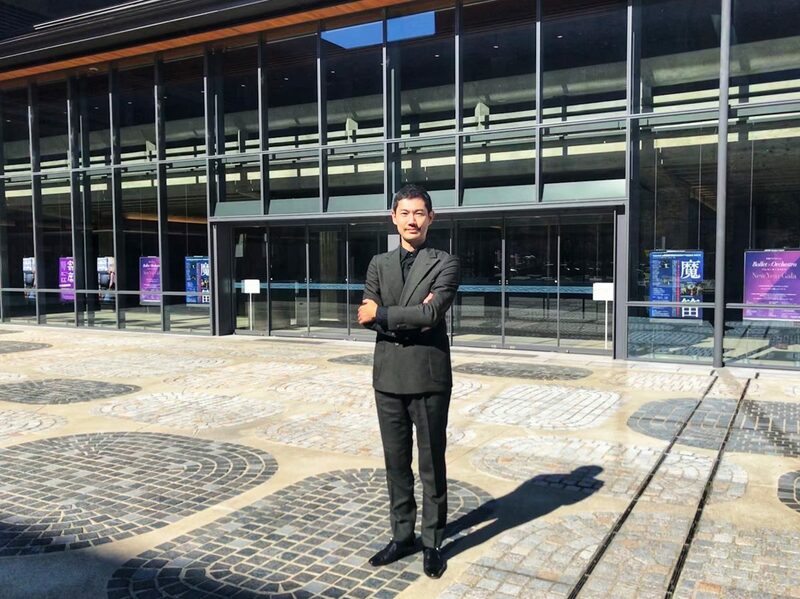 I spoke to Yusuke Hashimoto at the ROHM Theatre on the last day of Kyoto Experiment to gain some insight into the inner monologue of these performances, as well as the vision and efforts behind the scenes of the festival. Yusuke Hashimoto. Photo by Maithilee Jadeja. Maithilee Jadeja: Can you tell us a little bit about yourself? Yusuke Hashimoto: I came to Kyoto 10 years ago. In the beginning I wanted to get involved in any activity that was related to theatre. But I went to Kyoto University and they didn’t have a performing arts department. So, I belonged to an independent theatre company, while I was a student. And, I started my career as an actor, and eventually the director of the theatre company asked me to be producer. Was all of this in Kyoto? Yes, Kyoto University. So many students formed theatre companies by themselves, and yes, even in Kyoto University there were six or seven companies. Like there were three theatre companies that formed out of Ritsumeikan, three from Doshisha. Anyway, I developed the skills of becoming a producer by myself. Soon, I worked with other theatre companies in the Kansai region and I developed the relationships between each independent theatre company. Then I decided to form my own production company in 2003. Hashimoto Arts Management Office. (Laughs) Yeah, very simple. I worked with several artists, not just from theatre companies but also dance companies. It was a very good opportunity to work with dance companies because dance performance doesn’t use language and has the potential to reach beyond such barriers to understanding, not only in Japan but abroad as well. So I proposed a project to Kyoto Art Center (which is one the main venues of Kyoto Experiment). As part of that project I produced several works each year because KAC has not only a studio but also an auditorium to present them effectively—they also have their own budget. But we couldn’t attract audiences from outside of Kyoto, so I got the idea of starting a festival. Because timing is crucial to its success, we decided to present several pieces of work on the same weekend to make it easier for audiences outside of Kyoto to make a day trip. Before, the younger artists based here in the Kansai region who wanted to grow internationally had to always to go Tokyo in the beginning to be acquainted with the right critics or journalists living there who could help launch their careers. But I wanted to create an international platform so that these artists could naturally make the connections here, and get invited abroad. Kyoto is very well known for its traditional culture but also on the other hand there are so many new contemporary cultures that younger people are developing. As you know, there are so many universities and students doing very cultural activities by themselves. Also there are so many enterprises which have been producing high tech developed products, and I wanted to show these other aspects. When you started out as an actor/producer did you have to go to Tokyo very often? Yes. But I was very stressed. Of course, I spent a lot of money, but I also didn’t like their approach and values. But I suppose that’s what happens in any capital city. What is the mission of Kyoto Experiment? The most important aspect of Kyoto Experiment is to promote experimentation. The main aims of international performing arts festivals are to present existing works. We want to produce new work. So sometimes we invite artists two weeks or one month before or after the festival and our colleagues support the artists to create new pieces here. What has been the inspiration for this year’s line up? Actually, it came from the picture of our press conference. Every year we have a press conference to announce the details of the festival, usually in July or August, and we take a group photo afterwards with the artists who will be participating in the festival. So when I got hold of the newspaper with the photo, I noticed something. I thought: Why do all the artists have moustaches? All male artists. Then, I started to think about that. I think fundamentally, performing arts is a collective activity. Of course there is a director, and also the scriptwriter and choreographer, but still the activity itself should be collective. We have to think about how to organize the collective, how to approach the relationships to create theatre or dances. The photograph made me see the patriarchy that is there instead. KE explores experimental work so if we’d like to produce or present experimental work, we would have to think about how people gather…how to create work in this non-pyramidal, non-hierarchical structure. I want to look for an alternative way. How do you look for this? She She Pop, for example, is a performance-collaborative, and everyone has the same weight of influence. Everyone creates the piece together. So in a similar vein, I introduce an artist to a new collaborator, or sometimes join in the discussion and the process of creation myself. Mud Man by Chikako Yamashiro at Kyoto Experiment 2018. Photo by Maithilee Jadeja. 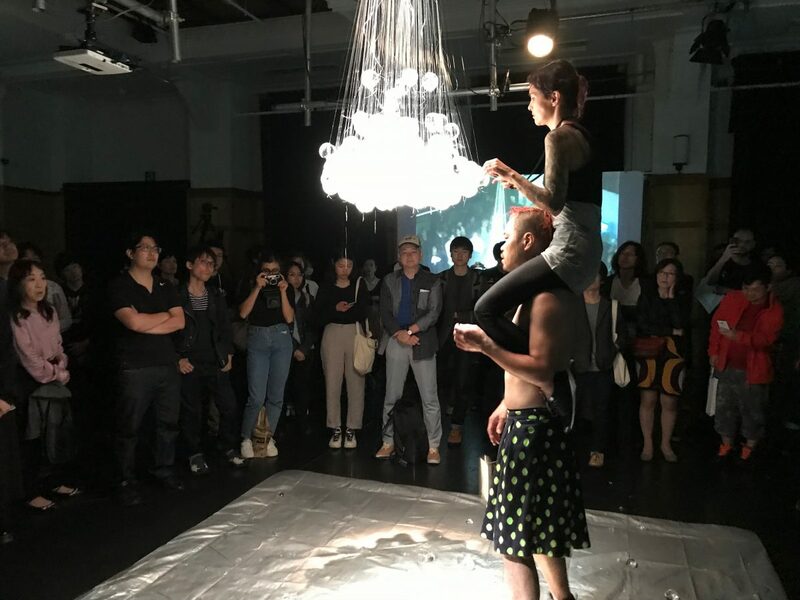 Embodiment of Water: The Ice Chandelier by Roberta Lima at Kyoto Experiment 2018. Photo by Maithilee Jadeja. What are the main ideas presented in this edition of the festival? In the beginning, I decided the world ‘female’ would represent the theme, but gradually my idea changed to that of modernization. So, we are not only focusing on feminism but also focusing more on things outside that. I don’t want to finish this idea here; I want to develop it for next year. How did you program around this theme and how did you choose the artists? There were many different ways to see this link. Roberta Lima, Tezuka Natsuko, Chikako Yamashiro, they’re all thinking about ‘female’ but also modernization at the same time in their work. All three, the format and structure to their work is different in how they present it to the audience, but they have these themes at its core. They also break those expectations of barriers between observer and the object. In your director’s note this year, you talked about getting an edge over comparable events and theatres. Could you talk a bit more about that? Yes, in order for the festival to survive, I am always aware of competition. Particularly in showing new work: either as a ‘world premiere’ or ‘Japan premiere’, because that’s key to attracting audiences. Also journalists. What’s been the biggest challenge for you in recruiting support for the festival? The audience and also the stakeholders have an idea for a program, or artists who they want to see already in their heads. So the challenge for me is to meet their expectations, in a way. I try to offer something that they didn’t know they wanted to see. But if the audience is expecting something and you throw a completely different ball at them in different direction, then they’re just going to be taken by surprise, and not in a good way. We have to throw the ball in a place where they can actually catch it, but at the same time they have to work a little to catch that ball. What would you like to accomplish through KEX in the future? I don’t think we have already achieved it, but the goal of the festival is to retain the curatorship. Especially in the performing arts scene in Japan, it’s very difficult to keep curatorship. Actually, its very rare for one director to decide the whole program, because if we organize the festival ourselves the resources required is so huge, we need to recruit so many sponsors and so many institutions. Once different sponsors come in, the director has to think about the balance and care of the relationship and sometimes accept their ideas. It becomes very difficult to present my own ideas directly, always. I think one of the main sponsors of theatre and dance is the audience, after all they pay for the tickets. In Japan, the border between independent theatre and commercial theatre is quite vague. So the presence of the audience is very strong I think. 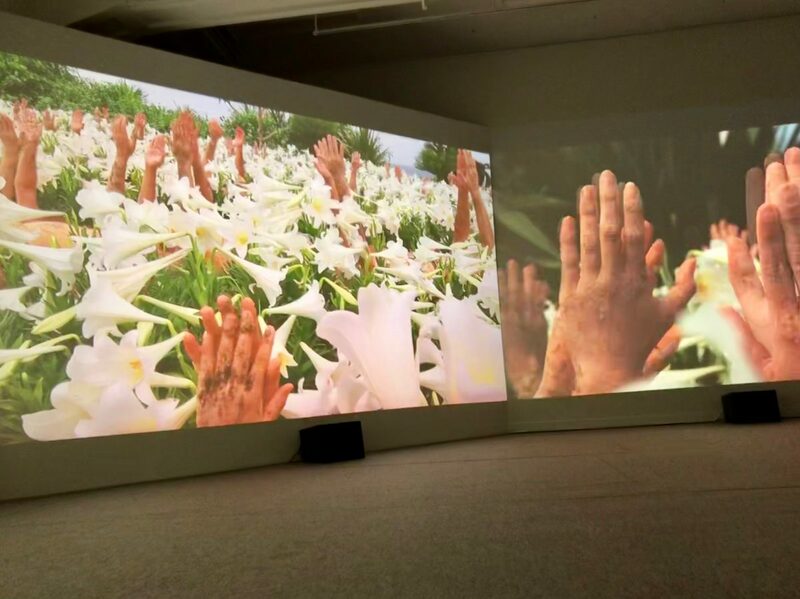 So even if one curator proposes one piece of work, the more mature audience understands everything. The audience is less willing to accept a program by the curatorship because they believe they know what they want to see. They have less trust in curatorship or the programming of a theatre whereas in a museum, or an art museum there is more trust. The entrance fee of the cinema and the museum is the same. There is a different attitude from the audience towards performing arts in Japan which makes it difficult to program the festival. So, there are two difficulties: recruiting the sponsors and the audience. I want to make this position recognized by everyone as an important job to do in society. Marlene Monteiro Freitas, BACCHAE—PRELUDE TO A PURGE, 2018, ROHM Theatre Kyoto. Photo by Takeshi Asano. Courtesy of Kyoto Experiment. Cecilia Bengolea & François Chaignaud, DUB LOVE, 2018, ROHM Theatre Kyoto. Photo by Takuya Matsumi. Courtesy of Kyoto Experiment. How is performing art perceived in Kyoto? Compared to other cities in Japan it’s probably more respected here. Many people perhaps don’t think that the performers are mature, that they’re kind-of amateur, and that it’s not a proper job or career to be an artist. But even though they are amateur they still feel a respect for them, in Kyoto. What can you see about contemporary/traditional theatre in Kyoto? What place do they have? They’re not connected, in my opinion. KEX doesn’t focus on attracting those tourists who may be interested only in traditional culture. But recently we’ve been getting some tourists who want to explore contemporary culture in Kyoto and want to know more about the daily lives of Kyotoites. What do you think of the timing of KEX in Kyoto? I cannot say so much about the timing. But outside the theatre when people are leaving the festival there are a lot of reactions, discussion and spontaneous conversation that I can hear. Beyond saying that its interesting or not, hearing the audience members talk more deeply about what they’ve seen. And it’s nice to see when the audience not only appreciate the work but sometimes find ways to connect it with their own lives. What do you think of Kyoto as a place to host these performances? A certain autonomy is present here. The Communist Party presence is quite strong in Kyoto compared to the rest of Japan, but also citizen’s movements, for example to reduce waste, promote sustainability, are strong. I feel there are people who are not really relying on the central government, that people can move by themselves or change things by themselves. Even though some works we present are not always easy to understand, people are more open minded in a way, they’re not going to reject it and say why did I spend all this money when I don’t understand what is happening. They don’t have that ‘consumer’ attitude. They understand art is not just for consuming. I think the audience of KE is both participant and stakeholder. What do find most rewarding about doing this? This is very personal, but I feel like I am not alone, that people can share and connect with each other. Normally in daily life we’re living inside in a bubble and associate with the same circles, and we think that this is normal. But there are a lot of things that are not good about staying in that environment. By doing something like this you realize that outside the people who are immediately around you, outside that environment there are those with the same thinking as you. It gives you hope. Maithilee Jadeja recently completed her BA in International Relations at Ritsumeikan University in Kyoto. 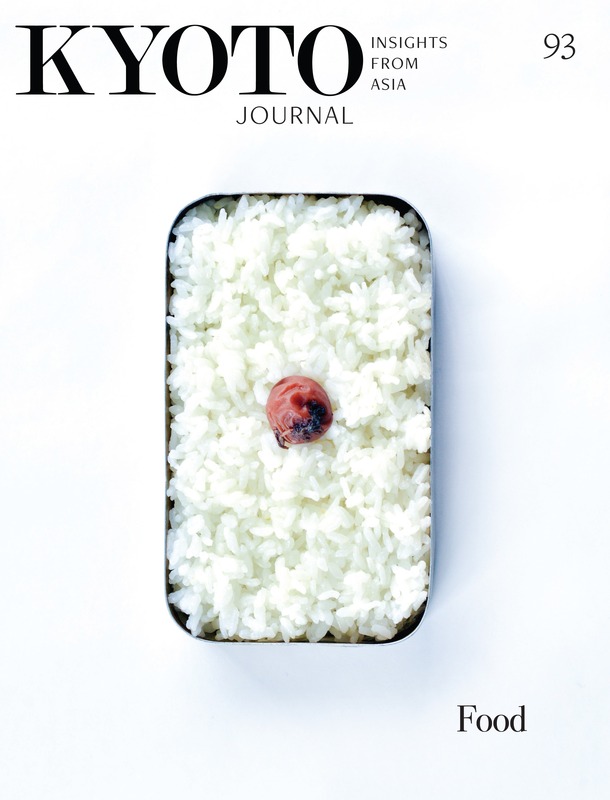 She has been a volunteer at Kyoto Journal since 2017.